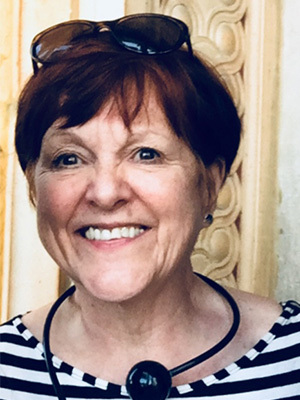 From the time that Pat was a little girl she had a deep fascination with nature; crashing waves: Autumn leaves; stormy skies and unusual plants. She collected shells, took bark rubbing and pressed flowers. The seeds were thus sewn for her creative response to the textures, shapes and colours of the natural world. Many years later Pat discovered the sheer joy of working with clay and adored playing with this soft, sensual material and how she was able to manipulate it into glorious shapes. 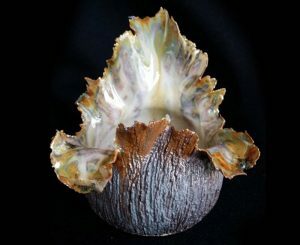 Pat went on to study ceramics in Birmingham to hone her skills as a sculptor, and remained inspired by the sheer beauty of the nature: Forests, streams and oceans being particular favourites. Pat developed her own style producing vessels that are semi-abstract, highly stylised, organic pieces that people just fall in love with. 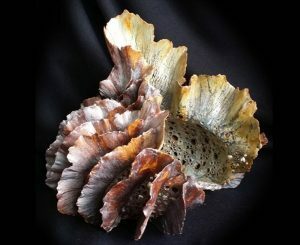 Pat hand-builds her pieces by using moulds that she constructs herself or by the ancient, coiling method. 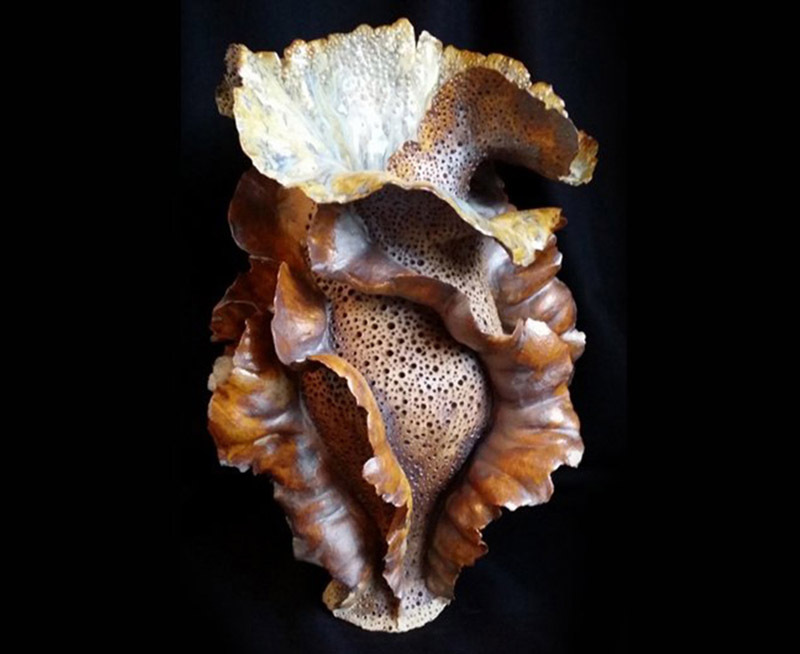 She developed the sculpture over many hours, creating flowing lines and adding a multitude of differing textures, before glazing and firing them. 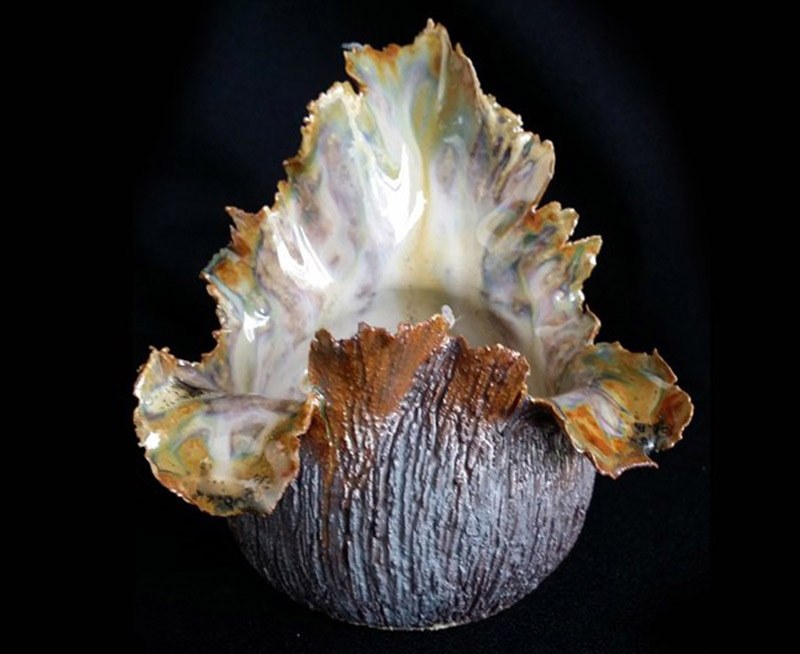 These beautiful, organic vessels are exhibited in art galleries throughout the U.K. Pat regularly exhibits her work at the Birmingham Royal Society of Artists. There have been many commissions from all over the world giving their purchasers great delight.